In this red state, publicly owned utilities provide electricity to all 1.8 million people. Here's how Nebraska took its energy out of corporate hands and made it affordable for everyday residents. "In the United States, there is one state, and only one state, where every single resident and business receives electricity from a community-owned institution rather than a for-profit corporation. It is not a famously liberal state like Vermont or Massachusetts. Rather, it is conservative Nebraska, with its two Republican Senators and two (out of three) Republican members of Congress, that has embraced the complete socialization of energy distribution. In Nebraska, 121 publicly owned utilities, ten cooperatives, and 30 public power districts provide electricity to a population of around 1.8 million people. Public and cooperative ownership keeps costs low for the state’s consumers. Last week the Supreme Court announced it would revisit the important case of Horne v. USDA. The case, which I first wrote about here in 2013 after attending the Court’s first hearing on it, centers on a USDA program that forces those who traffic in raisins (“handlers,” in USDA raisin parlance) to turn over cash or a significant part of their crop—sometimes almost fifty percent—to the USDA without compensation. Charges against two Ligonier men accused of scuffling with Ligonier Borough police officers during Fort Ligonier Days have moved toward trial. Spencer Graham Kozar, 23, was charged with riot intent to commit a felony, riot intent to prevent official action and terroristic threats. Todd Kirk Graham, 45, was charged with riot intent to commit a felony, riot intent to prevent official action, disarming a law enforcement officer and aggravated assault. A third man, Christopher Adam Hootman, 30, of Ligonier, waived his right to a preliminary hearing on charges of aggravated assault, simple assault and harassment. Little Shop of Horrors...save the date! Save the Date! Ligonier Valley High School will be presenting its Annual Spring Musical on Friday, March 20 and Saturday, March 21 at 7 p.m. both nights. This year we are performing the hit show "Little Shop of Horrors". Tickets will be sold at the door and will cost $10 per adult/$8 for students 18 and under. After a multi-year fight over its $10,000 civil penalty against a drone pilot, the Federal Aviation Administration (“FAA”) settled with Raphael Pirker for $1,100 in connection with his operation of an unmanned aircraft system (“UAS,” sometimes called “unmanned aerial vehicles” or “drones”) in October 2011. The settlement ends a battle between Pirker and the federal agency charged with keeping skies safe. The FAA had originally fined Pirker, a videographer hired to provide aerial photographs and video of the University of Virginia’s campus, for allegedly flying his Ritewing Zephyr in a careless or reckless manner near people, property, and an active heliport. Interestingly, the FAA did not explicitly penalize Pirker for his commercial use of a UAS, but rather for the manner in which he operated the drone. Pirker appealed the civil penalty to a National Transportation Safety Board (“NTSB”) administrative law judge (“ALJ”), who (somewhat surprisingly) overturned the civil penalty on March 6, 2014, and determined the FAA had no regulatory authority to enforce flight safety regulations against drone operators because drones are not “aircraft.” The FAA then appealed to the full NTSB, which reversed the ALJ’s opinion on November 17, 2014, sending the case back for further consideration. The NTSB also affirmatively stated the FAA’s authority was broad enough to permit its regulation of UAS. Anon wants to know.....Why fracking? Why fracking? 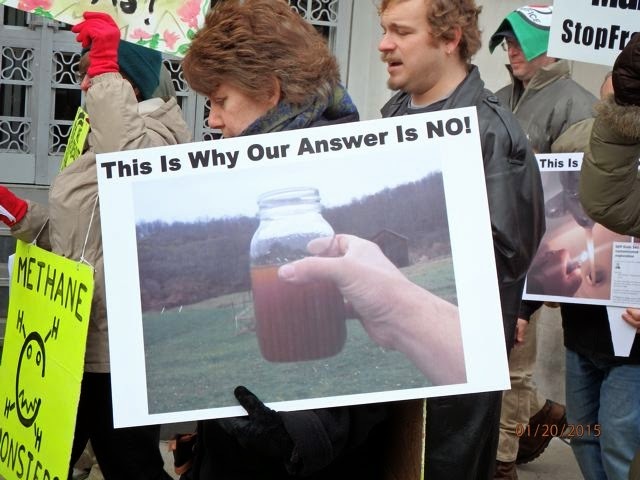 The Supervisors are opening a door to Marcellus Shale, why? Have there been any questions directed at the Supervisors as to whether any Township owned property will be leased for gas extraction with these disjointed changes to the Zoning Ordinance and Map? If so, the proposed alteration of the Zoning Ordinance could yield Ligonier Township significant revenues from land leases and royalties. Check with abutting local governments for the financial windfalls received from leasing municipal land for gas extraction! Are our Elected Officials following that example? Disappointing as it is, this cast of five Township Supervisors are as much out of touch as those who represented the Township in previous years. Really, you gentlemen should be looking to voluntarily reduce your term in office. I see no emergency, and no development pressures that warrant the wholesale changes to the Zoning Ordinance and Map. You should have done the process correctly: first, update the Comprehensive Plan and allow citizen input in guiding the Township’s future; and second, develop a new Zoning Ordinance that is based on the findings of the Comprehensive Plan, its Vision for the Future and those Goals and Objectives established in that new document! Are you getting bad advice or do you just not care? If it is extra money that you need, run that Township like a business! For instance, be consistent in your tax collections. Example, the Amusement Tax; does any eligible business other than Idlewild Park pay this levy? There is money there to keep Ligonier Township solvent without destroying the very character that has made Ligonier a great place to live! Submitted to Ligonier Living anonymously. Surreal...three cheers for take-no-prisoners, unregulated, market-driven sociopathy. Mineral extraction is permitted in all areas of existing zoning - conditional use. Right click link and go to pages 9 and 10 of the ordinance. If you are concerned about "fracking" in Ligonier Township, let's look at this map. Please right click link and open it in a new window so you can look at it and read. The existing zoning ordinance does not have any limitations on where mining or drilling can take place, except for the wellhead protection zones. So, for purposes of being concerned about "fracking" I presume you would want more restrictions. The 1st draft of the ordinance which is linked here includes the old wellhead protection area and also two other areas where water resources are being protected. See the red lined spots. The 2nd draft is in progress following public comment and will include the additional limitation of no drilling within 650 feet of a stream. The 2nd draft of the map will show which streams will be subjected to this limitation. Here's the 1st draft of the zoning ordinance, if you need it. 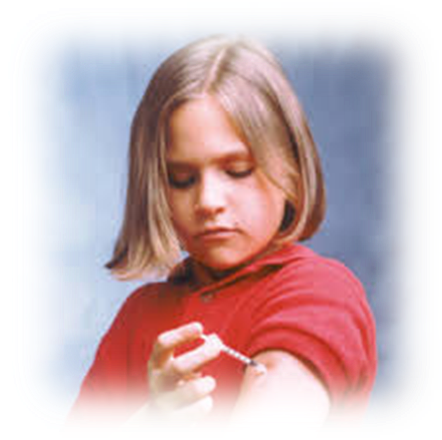 Diabetes is a very serious health problem affecting millions of people in the United States. It is major life threatening disorder! The class at last Friday taught about basic knowledge of causes of diabetes, how diabetes affects quality of your lives. The class of this Friday will teach Traditional Chinese Medical View of Diabetes and how to treat Type 1 diabetes with traditional Chinese medicine methods including pressure point, anti-diabetes herb tea, food therapy to help you control this health problem living in happy healthy ! 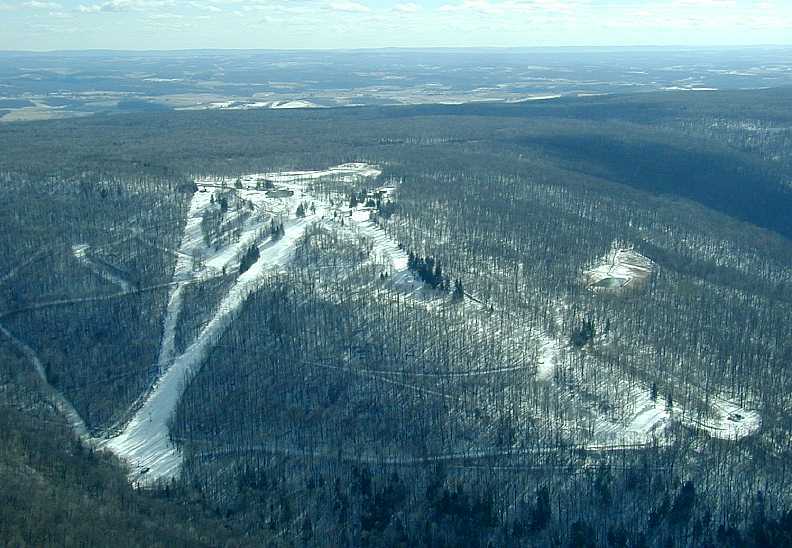 The Darrs want to know why the Ligonier Township zoning ordinance draft doesn't include a ski area? James Darr questioned the Ligonier Township Supervisors about the omission of "ski area" in the new zoning ordinance. The supervisors had no comment and none of the reporters at the meeting chose to publish his question! Isn't the reopening of our local ski area a priority for local municipalities? The revenue it will generate. The recreational and employment opportunities it will create? Is this not a "newsworthy" topic????? "“As supervisors of this township, you are trustees of our resources, meaning that you are given the responsibility of managing the wealth, or natural endowment, of the land for the benefit of all who live, work and visit it,” said Madeline Ritter, a Ligonier Valley High School senior. “This is a responsibility that requires selfless decision-making and dedication to the people you serve. As part of the emerging generation and a member of this town, I have many concerns about fracking and its effects on our lands, water, forests, viewsheds and rural lifestyle among other things. I speak for all of the youth of this generation when I say these things must be preserved.” Ritter warned the supervisors of fracking's permanent effects on the environment, “Before you throw away the future of my home's inheritance, you must give this issue thorough consideration and the research that it deserves,” she said. 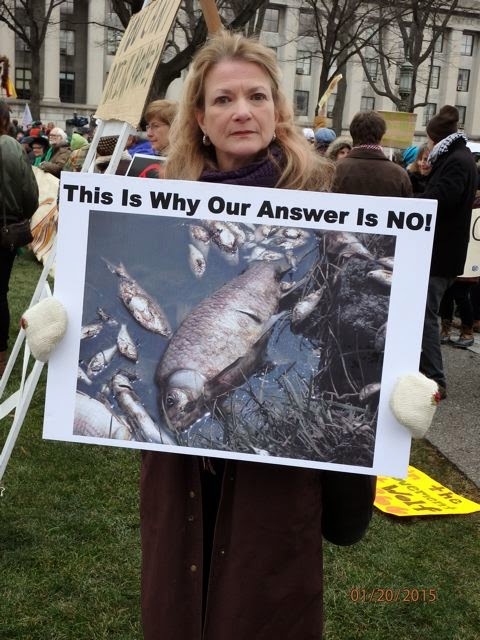 She asked how areas once zoned as conservation districts could now become areas where fracking will be permitted." Nicholas Rubin is a 16-year old self-taught computer programmer from Seattle, Washington. He is also the inventor of Greenhouse, a new browser plugin that lets you know exactly where politicians get their campaign funding from. ""It is my hope that providing increased transparency around the amount and source of funding of our elected representatives may play a small role in educating citizens and promoting change. If you use the extension when reading about a Congressional vote on energy policy, for example, maybe you’ll discover that a sponsor of a bill has received hundreds of thousands of dollars from the oil and gas industry. Or maybe you’ll learn that the top donors to a member of Congress who opposes tort reform are lawyers and law firms. I use data from the last full election cycle (2012) and plan to update it as more relevant data becomes available. Special thanks to OpenSecrets.org for providing access to that data. The motto of Greenhouse is: “Some are red. Some are blue. All are green.” What it signifies is that the influence of money on our government isn’t a partisan issue. Whether Democrat or Republican, we should all want a political system that is independent of the influence of big money and not dependent on endless cycles of fundraising from special interests. The United States of America was founded to serve individuals, not big interests or big industries. Yet every year we seem to move farther and farther away from our Founders’ vision.”"
Bittersweet because so many acres have already been leased/drilled. Pennsylvania has 2.1 million acres of state forest, and has issued oil and gas leases for about 700,000 acres -- more than 130,000 acres of that for Marcellus Shale deep wells. Vast areas of the Allegheny National Forest have been ruined already, according to friends with property there. Stand up, Ligonier... .
"Gov. Tom Wolf plans to announce tomorrow that he will reinstate a moratorium on leasing new oil and gas wells in the state’s forests and parks, thus fulfilling a campaign pledge. Mr. Wolf will sign the executive order establishing the moratorium at an outdoor ceremony in Benjamin Rush State Park, in Philadelphia, weather permitting. In October 2010, Gov. Ed Rendell established a moratorium on gas well leasing in state forests, and Gov. Tom Corbett left that moratorium in place through May of last year, when he replaced it with a policy that restricted development within state parks and forests but allowed gas below parks and forests to be tapped by wells drilled horizontally from adjacent properties. In February 2011, Mr. Corbett repealed a 4-month-old policy adopted by the Rendell administration, designed to minimize the environmental impact of Marcellus Shale natural gas well drilling in Pennsylvania's parks." Protestors from Western PA in Harrisburg last week for Governor Wolf's inauguration, kept out in the "free speech" zone. Eight arrests of everyday people who want drilling stopped in their areas, areas ruined. (Butler, Washington County, etc.). Forget the hyperbole about fracking and think zoning. Keep your eye on the ball. Hey.....if you Google "pollutants from pig farming" you find scads of articles from environmentalists speaking to the damage to the earth and health of neighbors associated with livestock farming. If we wanted to have a big glorious fight against farming in Ligonier Valley, we could do it. I am posting this to show how easy it is to pick a subject and scare the crap out of people. Cars kill WAY more people and the highway system is WAY more polluting and more disruptive to nature than fracking or farming. Really, folks, unless you want to give up your cars, watch carefully what you eat, and start using candles, skip the hyporbole about fracking and just think about zoning in general. Find a place in Ligonier Township where mining makes sense and let it be for crying out loud. All this screaming about how you don't like fracking is a bunch of noise, noise, noise and very easily tuned out. This is a zoning discussion. Talk zoning and find a place in Ligonier Township where mining could reasonably take place and have that discussion. You might be successful in making a good case for reducing the available land for a process you don't like. If you create a wall of sound that says there is no option but banning it, no one in a position to decide will listen to you. You may as well not even show up. Be realistic and perhaps you'll make progress for your cause. Lend Me a Tenor.....comedy coming to Ligonier Theatre. Mikula, who stared in “Lend Me a Tenor” with the Valley Players 14 years ago, said rehearsals are going well and the cast is working hard. Mikula said he chose to direct “Lend Me a Tenor” because he was familiar with the script and the timing fit well with his schedule. "A day after a pipeline exploded in West Virginia sending flames "hundreds of feet into the air," a new report by federal investigators is raising concern that lax oversight of gas transmission pipelines may increasingly threaten people's lives and property. 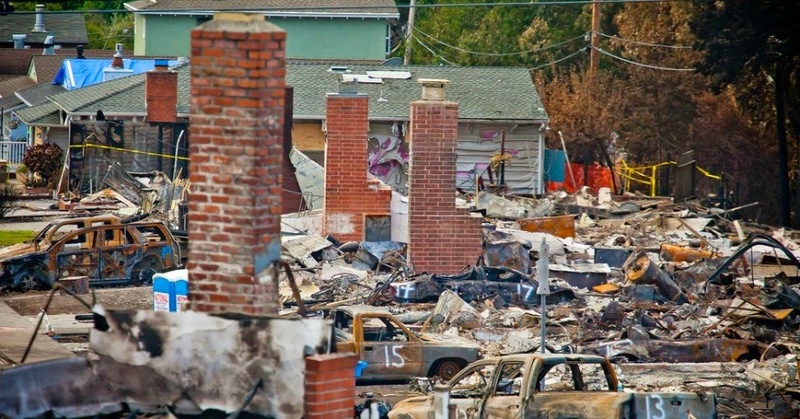 The study (pdf), issued Tuesday by the National Transportation Safety Board (NTSB), was released amid a growing push by the federal government to extract and exploit the vast gas holdings found in shale deposits around the U.S..
A September 9, 2010 pipeline explosion in San Bruno, California, which killed nine people and destroyed 70 homes. ...and that's why fracking-friendly administrations like the dearly departed Corbett one cut the guts out of whatever pitiful regulatory agencies PA has. He was crossing fingers that explosions wouldn't happen, and knowing full well that the cancers wouldn't show up until he and his cronies were safely outta Dodge. Counting on the ''pipeline" of one thing: Money. Money flowing into the relatively small number of pockets it's flowing into...consequences to air, water and life be damned. Supervisor Wade Thomas and planning commission chairman Mark Spitzer have oil and gas leases for property in the township, according to the Westmoreland County Recorder of Deeds website. Spitzer declined to comment on the matter at the planning commission meeting. On Tuesday, Thomas referred comment to Korns, who said he does not view it as a conflict of interest for Thomas or Spitzer to vote or make recommendations on the ordinance. As a precaution, he is going to ask the State Ethics Commission for an advisory opinion. Supervisor Tim Komar said the township needs to look at both sides of drilling. He said he does not want a gas well near his property because he has a shallow water well, but under state law, they have to provide a place for such resource recovery. Supervisor Bruce Robinson said the township is working with the Loyalhanna Watershed Association to define all of the major tributaries in the township for the new zoning ordinance and map, adding that they are pleased with the proposed 650-foot setback from well sites to waterways. Supervisor Scott Matson said he had wondered in the past why in the previous ordinance so many farms were in conservation districts instead of agricultural districts. A joint supervisors and planning commission meeting for more discussion on the ordinance and map is scheduled for 6 p.m. Feb. 17 in the Ligonier Valley High School auditorium. A public hearing is scheduled for 6 p.m. March 26 in the Ligonier Valley High School auditorium. · Closing the Halliburton Loophole would allow EPA to provide a minimum federal standard to protect drinking water, prohibit drinking water contamination, and ensure better scientific understanding of the threats of fracking. · According to the U.S. Government Accountability Office, approximately half of the total U.S. population and 95% of our rural population obtain drinking water from underground water sources. Federal regulation is essential to ensure that there is a consistent federal standard to prohibit endangerment of drinking water sources. Yes, the oil and gas industries will be thrilled to sink their drills into these pristine places but the rest of us - people and wildlife today and tomorrow - will be left coping with a planet suffering from the terrible cost of policies that valued profit and greed over all else. Last week, President Obama rightly declared in his State of the Union address: "No challenge poses a greater threat to future generations than climate change." This week, the Obama administration announced plans open up the Atlantic Ocean to oil and gas drilling and offer more lease sales in the sensitive Arctic waters off Alaska. Ramping up offshore drilling will not only raise the risk of disastrous oil spills and threats to wildlife, but will also deepen our dependence on the very fossil fuels driving us into the global climate crisis. Here's the thing about dealing with global warming: You can't say you want to make it better and then do the opposite. Rhetoric won't curb carbon dioxide emissions and poetic speeches won't stop the seas from rising and the planet from warming. Producing and burning what's believed to be recoverable oil and gas in the Arctic Ocean could release 15.8 billion tons of carbon dioxide into the atmosphere - that'd be like adding the equivalent of nine years' pollution of all the cars, trucks, airplanes and other forms of transportation in the United States." "As a resident of Findlay, I recently attended a community meeting wherein the Findlay Township board of supervisors invited residents to attend and listen to Consol Energy representatives’ response to residents’ noise complaints from Dec. 16 to 18 from Consol’s natural gas well drilling on Allegheny County Airport property. Consol representatives had detailed logs of the noise complaints, stated each was investigated and concluded Consol was well below the required ordinance noise level. However, the residents weren’t there for this. We were there to know, when will it end? The incessant hum. The incessant vibration. One resident stated that his floors vibrated, his chandelier shook and his foundation was cracking. He even went so far as to invite the Consol representatives to his home to witness it. Saudi Arabia is the country to which 1.7 billion Muslims turn five times daily in prayer and is the world’s largest exporter of oil. So it is no wonder that stock markets shuddered, thedepressed price of oil took an uptick, US President Barack Obama cut short a trip to India to fly to Riyadh, and flags were lowered to half mast in Britain, when it was announced on January 23 that King Abdullah of Saudi Arabia had died. For, many years now Saudi successions have gone smoothly, and there is no reason to suspect that this time it will be any different. Saudi royals know that a succession struggle will only hurt them, and Saudi princes do not want to destroy the cash cow which is Saudi Arabia, one of only two countries in the world named after a family (the other is the Hashemite Kingdom of Jordan). A big YEAH for Mrs. O. She skipped the headscarf. We have plenty of salt. 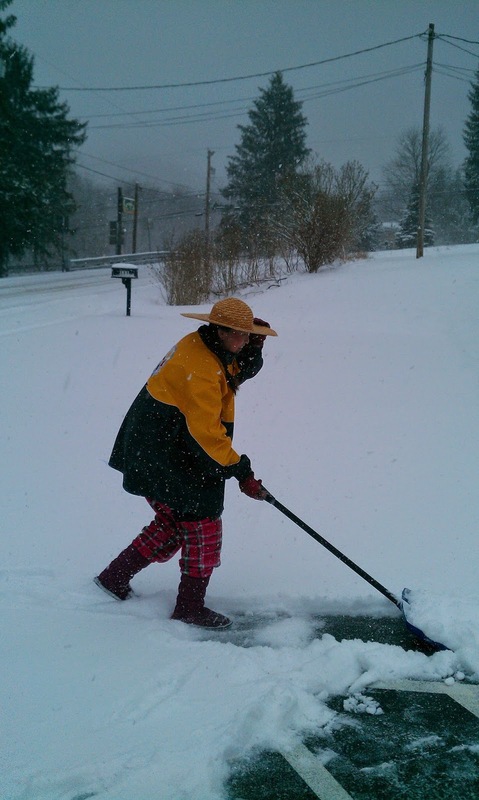 Thanks to a mild winter, local communities have been able to enjoy financial savings and hold on to road salt stockpiles. In a typical year, Pittsburgh sees about 22.7 inches of snowfall by Feb. 1 and a seasonal snowfall total of 41.4 inches, according to the National Weather Service. This year, Pittsburgh has had just 10.3 inches of snowfall, weather service meteorologist Lee Hendricks said. Ligonier Township's salt supply is full and in good shape, Manager Terry Carcella said. Township crews treat about 98 miles of roads. "After two years of student organizing, the University of Maine state-wide system on Monday became the first public land grant institution—and first university system—in the United States to divest any of its fossil fuel holdings, in step with world-wide grassroots efforts to take on the powerful industries driving global warming. "This is an exciting new precedent for public institutions, which must be responsible participants in broader society, which requires acknowledging their role in investing in an industry that has a track record of driving climate change and exploiting communities, disproportionately low-income and communities of color," Meaghan LaSala, organizer with Divest UMaine, told Common Dreams. The University of Maine System Board of Trustees unanimously voted on Monday to dump all of its direct holdings from coal companies, with every trustee and several presidents speaking in favor of the measure. Students are heralding the move as an important victory, but still incomplete, as it will not impact coal stocks in co-mingled funds. 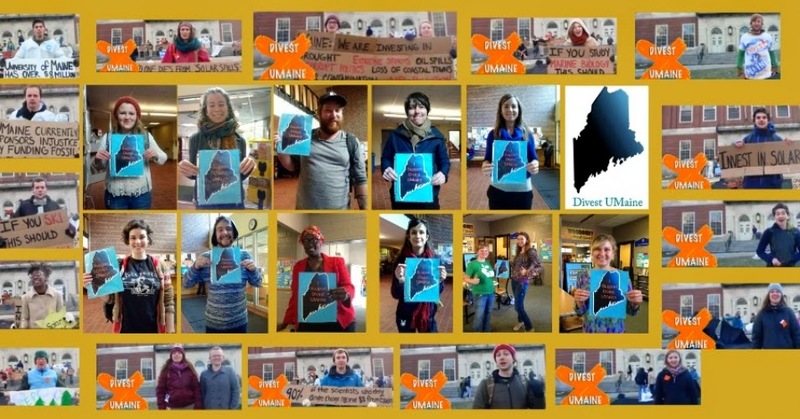 "We have to take victories as they come, but the end goal is complete fossil fuel divestment, and we will keep working towards that," Iris SanGiovanni, student at the University of Southern Maine and organizer with Divest UMaine, told Common Dreams." and in the UK: Sorry, "Not for Shale"! 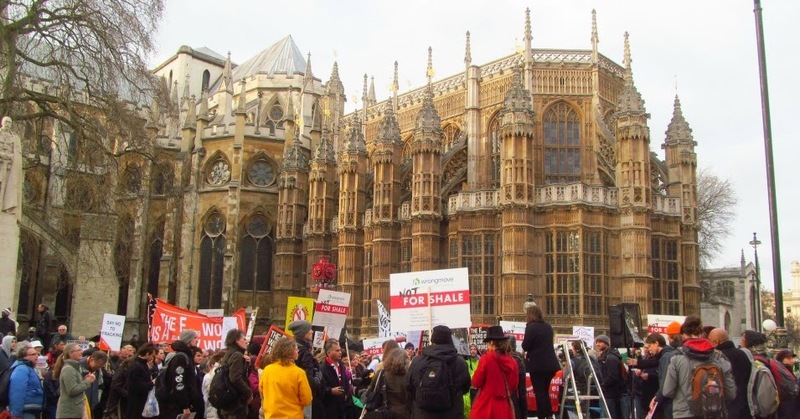 "The fight against fracking in the U.K. heated up on Monday, following the release of a damning report from an influential parliamentary committee that said the practice is incompatible with the government's goal of mitigating climate change. "Ultimately fracking cannot be compatible with our long-term commitments to cut climate changing emissions unless full-scale carbon capture and storage technology is rolled out rapidly, which currently looks unlikely," said Joan Walley MP, chair of the Environmental Audit Committee, which released on Monday a report (pdf) analyzing the risks of fracking. "There are also huge uncertainties around the impact that fracking could have on water supplies, air quality and public health." At an anti-fracking demonstration held Monday, January 26 outside Parliament. Environmentalists have long warned of such dangers. But the focus on climate was something new—the Environmental Audit Committee's report warned that only a fraction of U.K. shale reserves could be safely burned if global warming was to be kept below two degrees, the target of international climate negotiations. "Until now the main focus of environmental concern has been on the risks of pollution," said BBC science editor David Shukman of the committee's report. "Any worries about noise or the potential for contaminated drinking water have essentially been local. But highlighting the climate angle gives the debate a national perspective."" A new dining option, featuring freshly prepared comfort foods such as chicken and waffles and buttermilk biscuits, could open for business in Ligonier. The borough's planning committee Monday voted to recommend to council the approval of a conditional-use application from Elise Wells, 34, of Ligonier to open the shop as Wigle Sisters Kitchen at 321 W. Main St. in a building that formerly housed a tanning salon. Wells plans to serve for to-go and eat-in dining from 7 a.m. to 4 p.m. Saturdays and Sundays. Wells has sold her homemade foods at the Ligonier Country Market for four years. “I just wanted to kind of take that concept and give it a home,” said Wells, a teacher at Holy Trinity Catholic School. Council will hold a public hearing on Wells' application at 6:30 p.m. Feb. 12. Act Two: Sarah takes us to Mt. Pleasant, PA, where a gas exploration company called Range Resources has leased 95% of the township's land. This led to a standoff between Mt. Pleasant and Range, starting with zoning disputes and ending in a full scale PR war—a war in which the town was seriously outgunned. (23 1/2 minutes) "
Our council looked at the facts and the evidence available even then and, despite being advised by one of the biggest pro-fracking law firms in Pittsburgh, Babst+Calland – B+C represents some of the worst fracking companies, the ones guilty of the kinds of “risks” I just read out above and unfortunately B+C also counsels municipalities, intimidating weak boroughs and township supervisors around fracking – despite the fact that Babst +Calland's top attorney was whispering in their ears, our council understood that their job was to protect the borough and the people in it. Staring down the legal bullies with their vague threats of lawsuits, ignoring the industry flacks who promised them perks, our council stood up for the people they represented. Our council banned fracking, and the ban is in place to this day. The shale gas is going nowhere, gentlemen; it has been there forever. SLOW DOWN this process, gentlemen. The gas industry is woefully unable to make this a safe process for workers, for first responders, for anyone or anything anywhere around it. Keep it from taking over Ligonier Township, which this map suggests it will do. Do YOUR job, gentlemen: Represent the township's interests* as if ALL of our lives depended on it. In many ways - economically, physically, emotionally – they do. *I would add here now: "...not your personal interests"
P.S. Notice the “we could sustain losses” line in the gas company quote above. "Losses" doesn't refer to water, air quality or life itself...no. It refers merely to a loss of profits...money. Which we can't drink, we can't eat, we can't breathe. Profits are their sociopathic concern above all else....above life itself. It's monstrous, and yet it's become the accepted American way, which desperately needs to change. NOTE: This statement can be reprinted/forwarded freely in its entirely, without edits or changes. The Secret Service statement identified the object as a “quad copter,” a commercially available drone with four propellers. “There was an immediate alert and lockdown of the complex until the device was examined and cleared,” the statement said. “An investigation is underway to determine the origin of this commercially available device, motive, and to identify suspects.” It gave no further details. Earlier, White House press secretary Josh Earnest, speaking to reporters in New Delhi, said the device did not pose a threat to the building or the first family. It said the drone was spotted about 3:08 a.m. flying at a low altitude onto the White House grounds, crashing on the southeastern side. 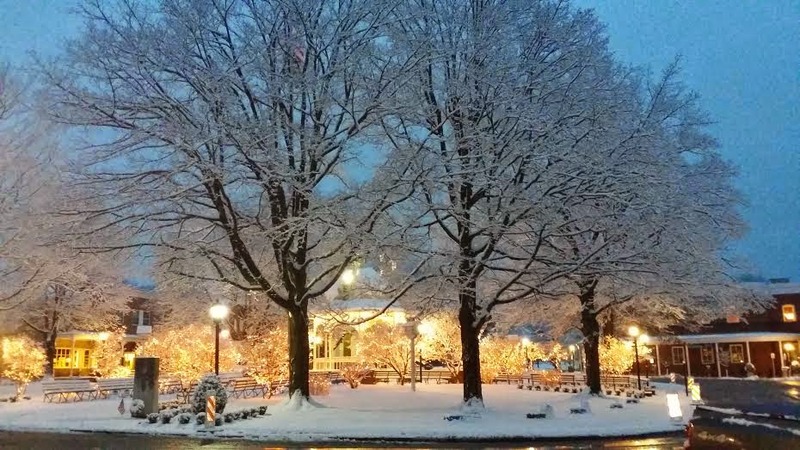 A new blanket of snow on the eve of the Ligonier Ice Fest lent an authentic winter experience to the Jan. 24-25 event. Some Jan. 24 visitors needing to brace themselves against the cold found their way to the Ligonier Theatre, where the fifth annual Chill Chaser offered hot food, drinks and musical entertainment. First stop for many was the bar, where Donna Harris and Denise Marcinik poured beer and wine. Bob Dylan's "The Times They Are A Changin'' becomes "Don't Frack My Mother!" "Yoko Ono and son Sean Lennon took to the Late Night With Jimmy Fallon stage to announce the launch of Artists Against Fracking, a collective of musicians and other celebrities like Joseph Gordon-Levitt and Leonardo DiCaprio who are lobbying against fracking in New York State. Their first talk show together, Ono and the totally adorable Lennon discussed the importance of protecting the environment from the potential dangers of hydrofracking. Along with Fallon, they also performed their new Bob Dylan spoofing anti-fracking protest song, "Don't Frack My Mother."" 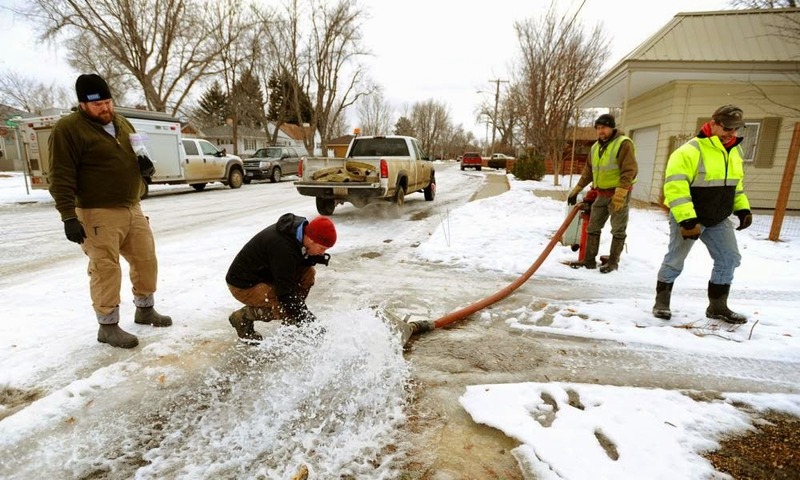 "One week after a pipeline spilled nearly 40,000 gallons of crude oil into the Yellowstone River and contaminated a Montana city’s water supply, clean-up crews have made little progress in their efforts to remove the oil from the partially frozen river. The site of the pipeline break, six miles upstream from the high-plains city of Glendive, Montana, is almost entirely capped in ice, complicating efforts to retrieve the oil and slowing the response process. The cause of the spill remains under investigation. The conditions are changing quickly, sometimes by the hour, making it hard to for workers to plan the recovery, Bill Salvin, a spokesman for Bridger Pipeline, the Wyoming-based company which owns the pipeline, told the Guardian on Saturday. “We still obviously have a very serious issue here,” he said. “We’ve had very limited success because of the conditions. It is extremely challenging and there are significant safety hazards for having people working on the ice.” Salvin said crews had only been able to recover a small fraction of the oil that spilled into the Yellowstone. The crews, he said, had recovered 274 barrels of oil, or 11,500 gallons, the vast majority of which was inside the broken pipeline. Because of the conditions, crews have only been able to remove about 15 barrels, or roughly 630 gallons, of an oily, watery mix from the Yellowstone. As the weather warms, crews cannot rely on the ice to remain solid and are unable to bring heavy equipment." Bob Dylan, the greatest creative force in postwar America (in my opinion), has given a fantastic and uncharacteristically straightforward interview toAARP magazine. Most of the talk focuses on his upcoming album,Shadows of the Night, in which he croaks his way through songs from the 1930s, '40s, and '50s (sounds pretty good from the clips I've heard). "The fracking industry in America resembles one vast ponzi scheme that is as reckless as it is criminal. Let’s take the example of Wyoming which has thousands of fracking wells. It has recently come to light how companies that once operated fracking wells have disappeared and have abandoned the wells they made huge profits from. Apparently, over 1,200 fracking wells have been abandoned in Wyoming with state officials saying there may be thousands more to come. Many of the companies that once operated these fracking wells are seeking bankruptcy and unable to pay the cost of cleaning up the land they leased. Many farmers are complaining to state officials that their land has been left in a toxic state. Take for example the case of State senator John J.Hines who is seeking *public* money to clean up the 40 fracking wells abandoned on his land by Patriot Resource Company. It appears that Wyoming state will have to pay for the clean up costs for the 1,200 abandoned wells with potentially thousands more to come. Max Keiser, a financial commentator, has called fracking suicide economics. As he points out, many fracking companies sign contracts with farmers to lease their land knowing full well that they won’t be spending any money to clean up the toxic mess they will have created. Keiser calls fracking a ”12 to 36 month scam” by energy companies out to make a 5% return on their investment. Companies borrow money at zero per cent to pay for fracking rigs, make huge profits during the life of the fracking well then once its exhausted declare bankruptcy to avoid any clean up costs. Leaving tax payers on the hook for millions. I wonder where we’ve seen that kind of scam before? Not surprisingly, there is a growing movement of ordinary people against this form of suicide capitalism. Over 400 counties in America have passed resolutions banning fracking operations from land in their areas. 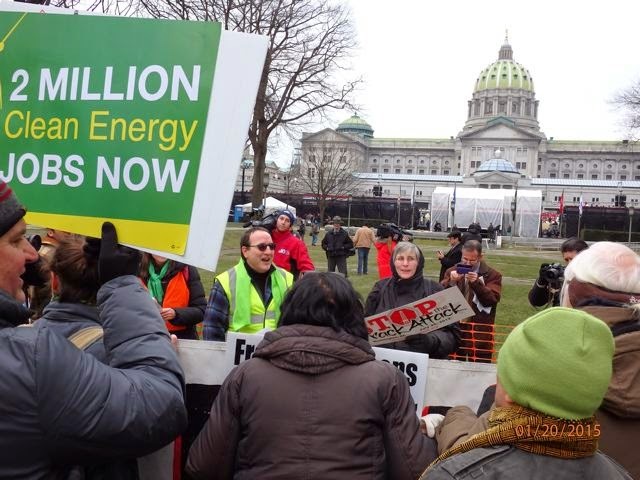 In Pennsylvania local people have delivered a 100,000 strong petition to Governor Corbett calling for a halt to fracking operations in that state. Last year 650,000 people sent messages to the Obama administration calling for a ban on fracking on public lands. As the fracking industry spreads its destructive tentacles across the globe ordinary people must fight back against the big oil and gas companies that would poison millions of people and destroy local environments. All in the pursuit of a quick buck." On average only 30-50% of the fracking fluid is recovered; the rest is left in the ground. (Where it migrates.) In some areas waste water is left in open air pits to evaporate into the atmosphere. Harmful volatile organic compounds are released into the air creating acid rain and ground level ozone. How can drinking poisoned water be safe? Numerous scientific studies have concluded that fracking poisons the local water supply by adding carcinogens and radioactive materials. According to Dr.Sandra Steingraber, Distinguished Scholar in Residence at Ithaca College and Science Advisor to Breast Cancer Action, there have been over 1,000 different cases of water contamination near fracking sites. In many areas across America fracking has led to high levels of arsenic and other toxic heavy metals in ground water near drilling sites. Researchers from University of Texas last year found levels of arsenic 18 times higher than in areas without fracking. The Environmental Protection Agency (EPA) has found elevated levels of arsenic in Wyoming and Pennsylvania. Meanwhile, scientists at Duke University have found high levels of methane, propane and ethane in ground water samples near fracking sites in northern Pennsylvania. As if that wasn’t bad enough in some areas fracking waste water is highly radioactive. A U.S. Geological Survey report found waste water from gas wells in Pennsylvania and New York state to be 3,609 times more radioactive than the federal limit for drinking water. Meanwhile, Scientists at Duke University have found levels of radium 200 times above normal or background levels in the Pennsylvania creek that flows into the Allegheny River. In New York state scientists from the Department of Environmental Conservation analysed 13 samples of waste water and found,” levels of radium-226, a derivative of uranium, as high as 267 times the limit safe for discharge into the environment and thousands of times the limit safe for people to drink.” EPA scientists are worried about the threat to public health from the huge amounts of fracking waste water. Sewage treatment plants are incapable of removing radioactive materials from waste water which is then discharged into rivers from which drinking water is taken. " Pro-fracking township supervisors may think twice when they assume their gas leases will make them money. Since ruining the water, air, quality of life and health of Ligonier Valley clearly isn't enough incentive to slow down the supervisors' rush to re-zone Ligonier township, here's a thought for Messrs. Spitzer, Schreiber, Faas, Gongaware, McVicker, Thomas, et al, to consider: Instead of sleeping blissfully at night with visions of future fracking profits, perhaps you should stay up awhile and read how the gas companies have used every opportunity to screw leaseholders out of what their leases should earn them. People have actually wound up owing money to help gas companies pay for the costs of drilling. (It's in the fine print in the leases.) Unfair, inn't? I hate to rain on your wellpads, guys. After more than 7 years of Pennsylvania's interstate highways, bridges and overpasses being heavily used by out of state shale gas companies trucking heavy equipment, water tankers, fracking chemical trucks and natural gas storage tankers in and out of state, Gov. Corbett signed into a law a record increase in state gasoline taxes in a major Transportation Bill. (So you and I paid at the pump to repair the roads that the gas industry wrecked. How do pro-fracking people rationalize this?) Overnight Pennsylvania had the 5th highest gasoline taxes in the country. A multi-year gasoline tax bill, the Corbett Administration claimed the gasoline taxes were at the wholesale level, not raised by the Administration at the pump. Thousands were angered by Corbett raising taxes after promising not to do so. 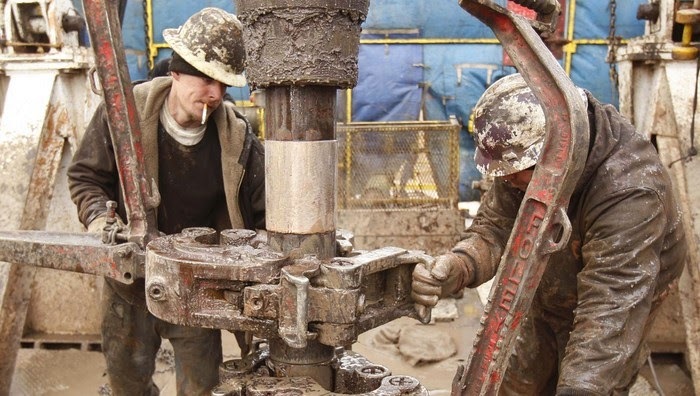 Claims it was on the wholesale level and therefore not a tax on Pennsylvanians at the pump rang hollow and at the same time out of state shale gas companies continued not to pay taxes on record amounts of natural gas being pumped and hauled out of the state." For those who are just realizing what deep s**t we are in here in Ligonier, the above article gives an overview of how we got into this mess statewide. Read up, folks, and get busy opposing this township zoning ordinance. IF YOU ARE NOT PART OF THE PUSH-BACK, YOU ARE RESPONSIBLE IF IT FAILS, frankly.